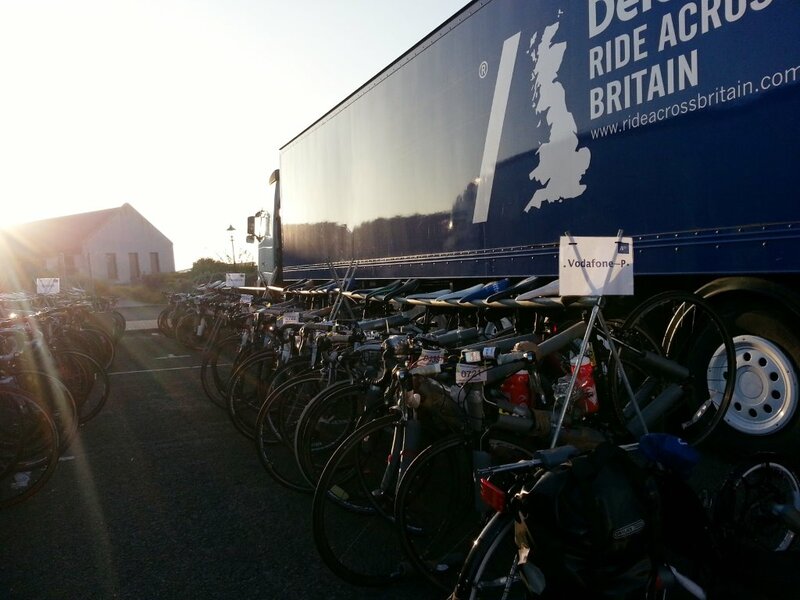 For more than 20 years we have been the UKs no 1 for bike logistics ranging from 50 riders for a charity event to 800 riders and bikes for the Deloitte Ride Across Britain and events for Vodafone and Deutsche Bank. 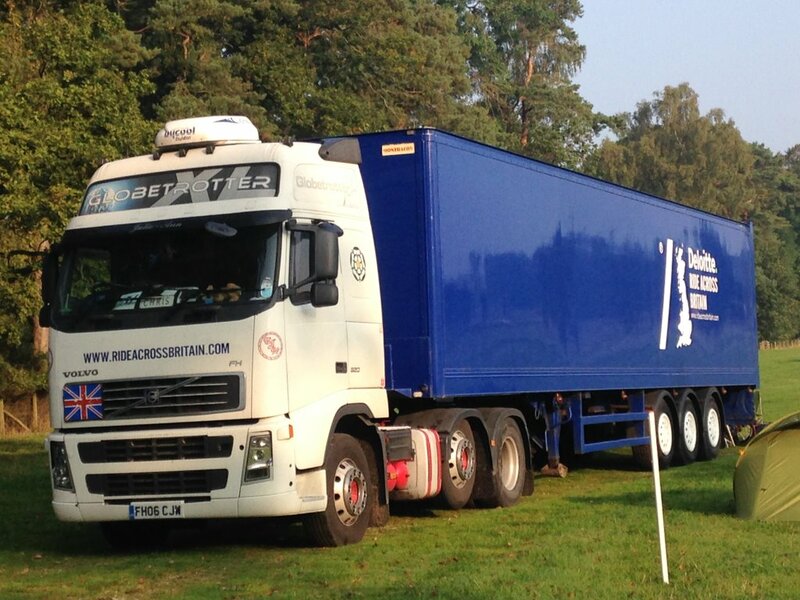 Whatever your requirements we are confident we have the complete solution for bike and rider logistics. Offering transport for up to 54 riders and their bikes. Bikes remain fully assembled and are loaded into individual racks by our experienced loading staff. Our Club Class Coaches offer Club Class seating with calf supports, generous leg room and individual sound system, toilet, catering facilities (including microwave) and air conditioning. This option allows riders to travel with their bikes for such as charity events where it is necessary to return to the start point. 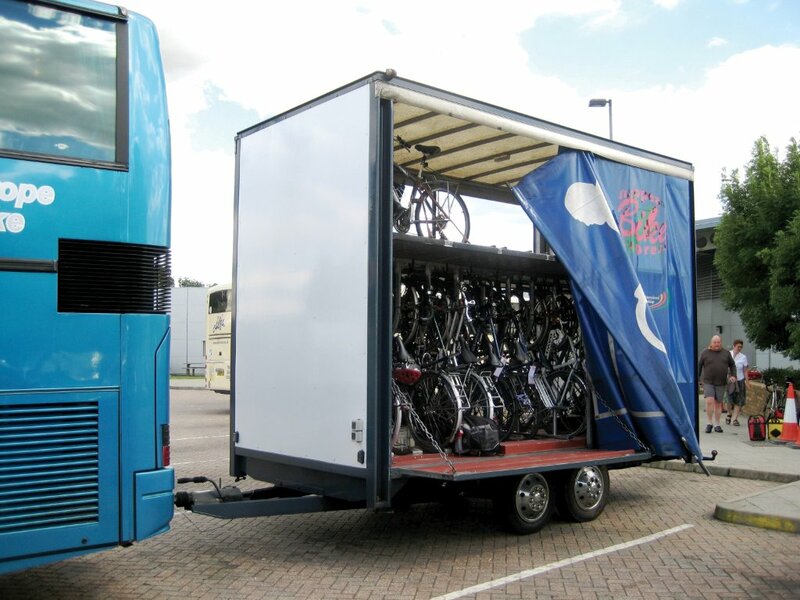 With capacities ranging from 120 to 250 our bespoke trailers offer a unique loading system that ensures there is no contact between bikes whilst remaining fully assembled. For large events we are able to offer a local collection service for your clients. They can book their requirements via a link to our online booking system set up specifically for your event. 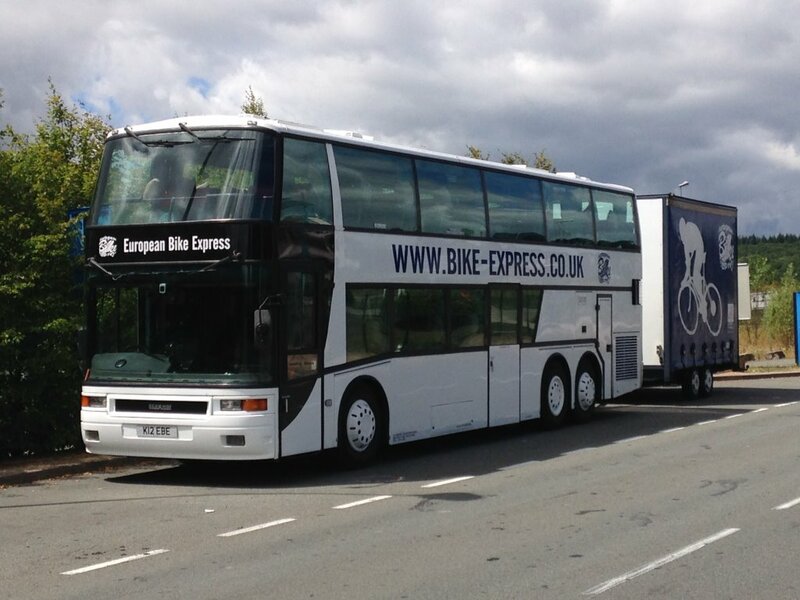 Whether you are looking for the hire of one of our Club Class Coach/trailer combinations or the full logistics solution for 800 cyclists, please contact us on info@bike-express.co.uk or Tel: 01430 422111.